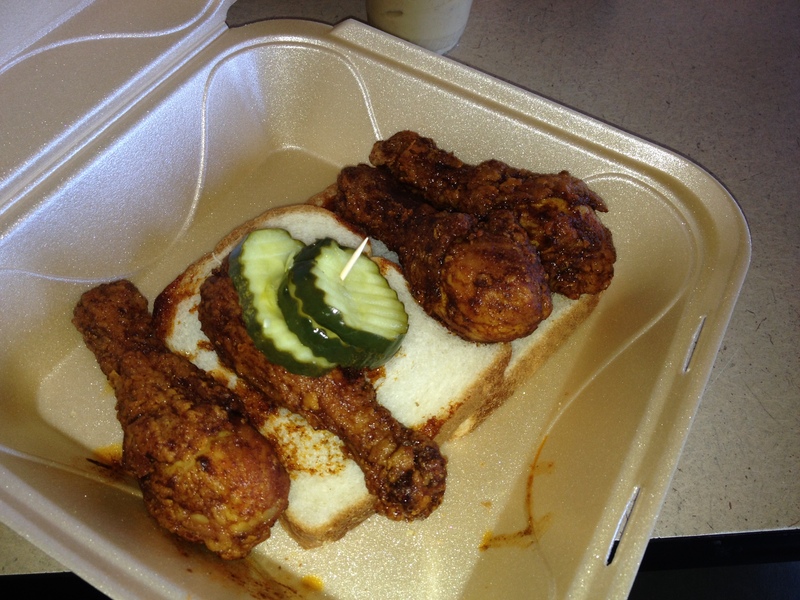 Well, it took a while, but I finally caught up with what all of the cool kids have been talking about, Hot Chicken Take Over. 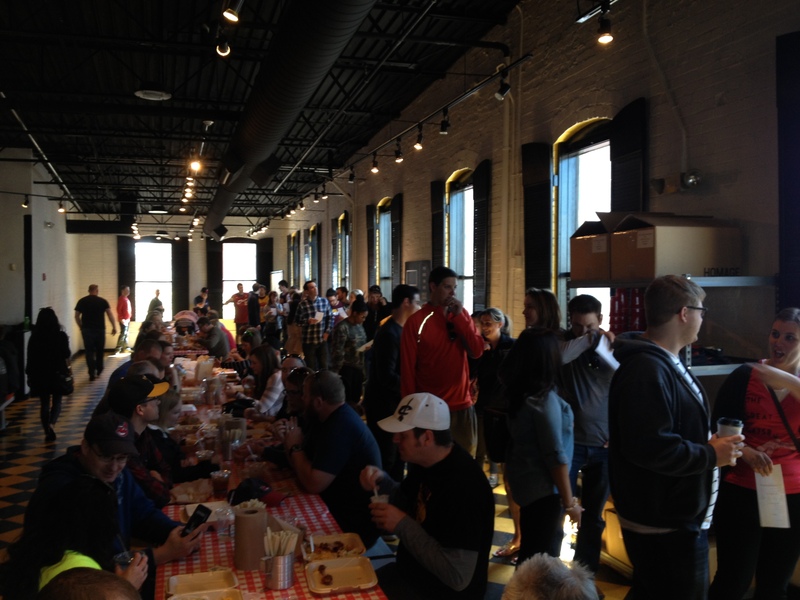 It started out as a pop up and then popped over to the North Market. Things started hot and have gotten hotter with long lines and chicken selling hotter than hot cakes. 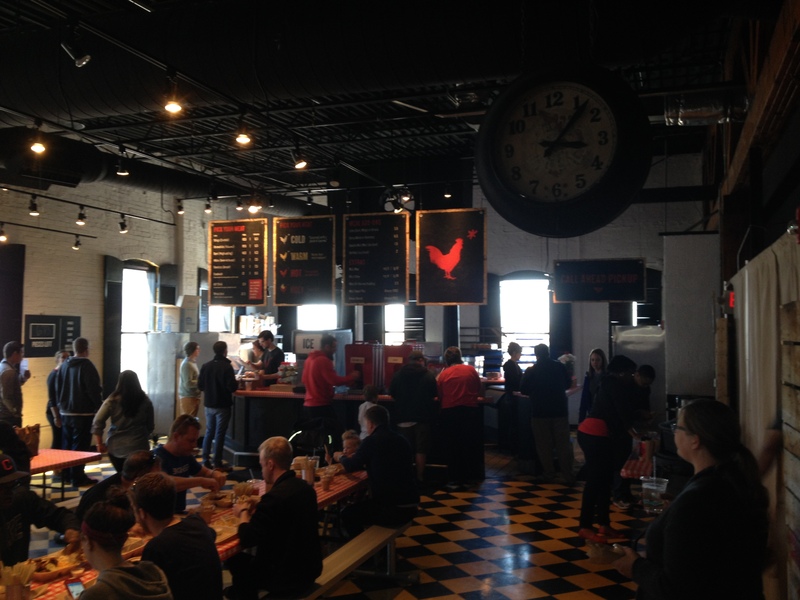 The origins go to Nashville where hot chicken has been a thing for generations. 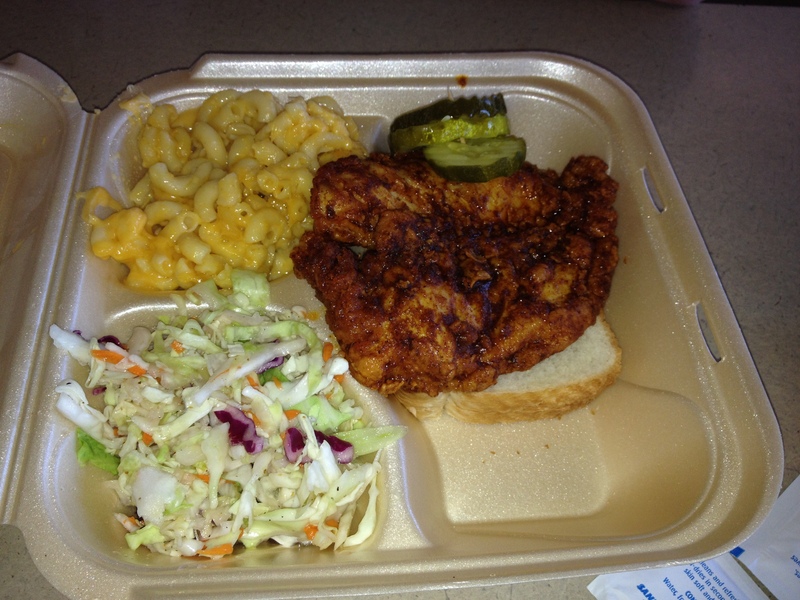 (Authors note: I had hot chicken for the first time with Jane and Michael Stern of Roadfood fame back in 2007). The concept is simple so I will walk you through it with photos. Go to the North Market (early) and stand in line. 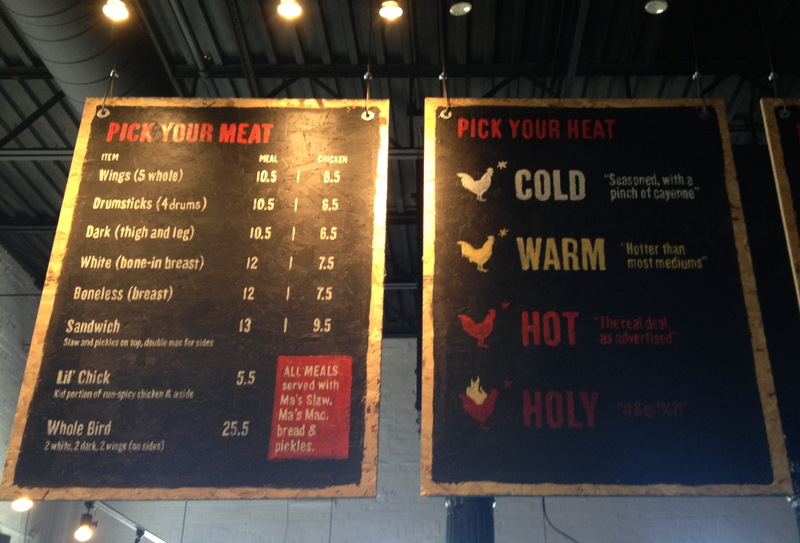 The folks at Hot Chicken Takeover will count down the number of pieces left on a chalkboard so you can figure out your odds of getting chicken. Study the simple menu and make your selections. If you are not sure what you want, you can gaze at the communal picnic tables full of people eating various types of chicken so you can eyeball what seems best for you. Choices are light and dark, sandwich or dinner, hot or hotter. After you order you can self-serve a beverage for yourself and then step back to soak in the ambiance and gloat that you have ordered while others are just starting to stand in line. Wait for this guy, or another guy or girl to bring you your chicken, they will call your name. 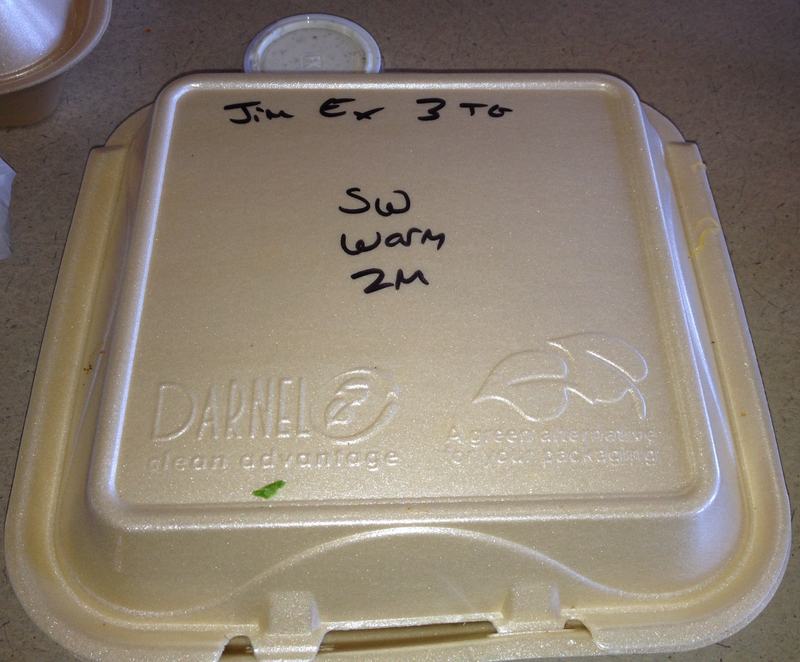 Get your chicken (check to make sure you have the right box, it will have your name and order written on it). This is the sandwich. It comes with a double order of mac and cheese. A bit of cole slaw (which I called cold slaw or slop until I was 10). It comes with 4 pieces of bread. It also has a couple of pickles, they are a nice addition. I will also say the mac and cheese is exceptional – creamy, cheesy and tasty. Mrs. Gourmand who has a significant obsession with this dish found it exceeded expectations. These are the wings. Note the trend, they come with bread and pickles. 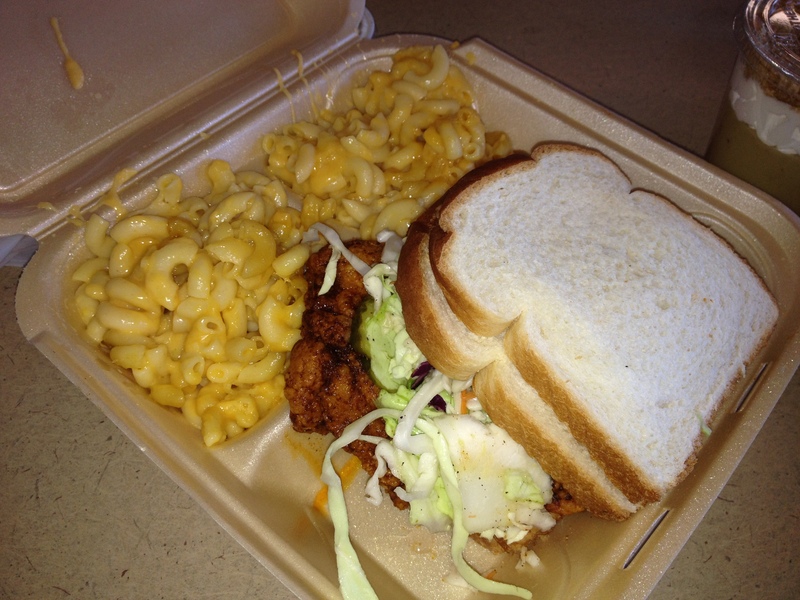 This is the dinner, it looks a lot like the sandwich but it has two less slices of bread and does not have double mac. 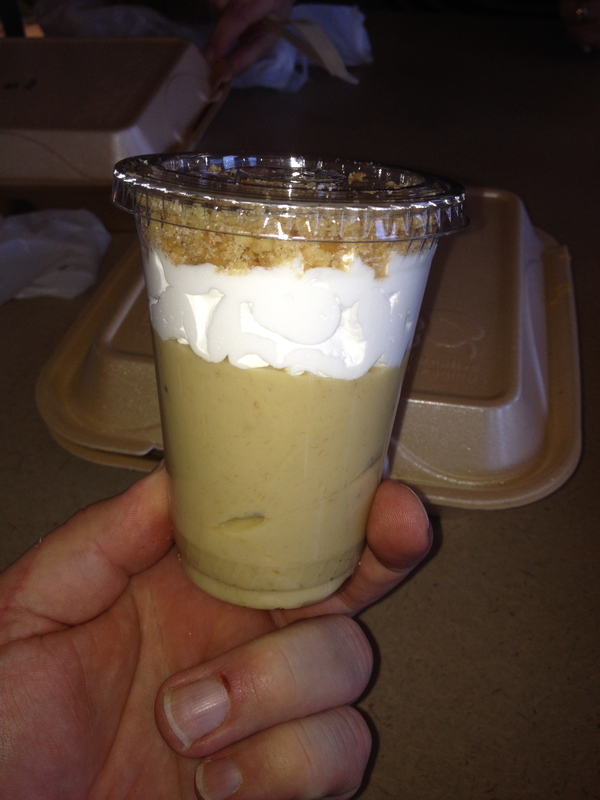 And this your dessert option – banana pudding. A word about the chicken. It is hard to find good fried chicken in town. Even harder to find hot chicken. The verdict – well done. The breading is just the right amount and holds he hot sauce well. The chicken is moist and tender with plenty of flavor. Check it out….and go early. This entry was posted on May 14, 2015 at 4:49 PM	and is filed under restaurants. 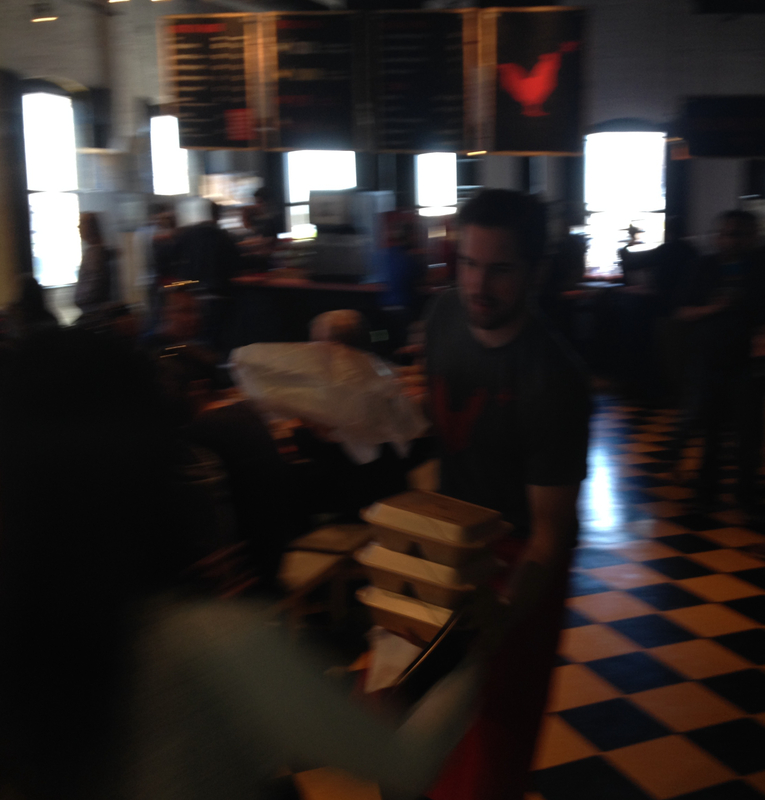 Tagged: Hot Chicken Takeover. You can follow any responses to this entry through the RSS 2.0 feed. You can leave a response, or trackback from your own site. I was sick for two days after eating this.